Sponsors of a bill that would make recreational marijuana legal in Illinois for adults over age 21 are planning to reintroduce a revised draft of the proposed law when the General Assembly’s next regular session begins in January, two legislators told a group of citizens gathered in Des Plaines on Wednesday. Before a crowd of about 60 adults and Maine West High School students, State Sen. Heather Steans and State Rep. Kelly Cassidy, both Democrats from Chicago, spoke about the proposed Cannabis Regulation and Taxation Act during an Oct. 17 town hall-style meeting at the Prairie Lakes Community Center Theater. “Prohibition just plain doesn’t work,” Steans said. Included in the new bill that will be presented during the next legislative session is a proposal to allow Illinois residents to purchase and possess up to 28 grams of marijuana from a designated dispensary and cultivate up to five of their own marijuana plants per household, the legislators said. The bill, as proposed, would give municipalities the option of restricting or prohibiting recreational marijuana use, Cassidy said. Employers would also be able to prohibit usage under the proposal, as would landlords, Cassidy said. “Nothing about what we’re doing will change their ability to maintain a drug-free workplace,” she said. The legislators said the taxation of recreational marijuana is projected to generate a minimum of $350 million per year. The revenue, according to the proposed bill, would be used to “support law enforcement and pay for public education programs, substance abuse treatment, and programs to repair harms to communities adversely affected by the war on drugs,” Steans and Cassidy said. Specifics on the types of programs that would be funded were not shared. A majority of the adults in the audience indicated support for legalization by raising their hands when asked by State Sen. Laura Murphy if the state should legalize recreational marijuana. Murphy, who was also hosting the Oct. 17 event within the 28th district she represents, acknowledged that she was “mostly undecided” about the proposed bill. But two local women involved in organizations that work with area youth expressed concern about widening the legalization of marijuana from medical purposes to recreational usage. “We have to have a lot more studies done before we can let it go out to the public,” said Teri Collins, executive director of the Maine Community Youth Association Foundation, which works to prevent drug and alcohol use among teens in Maine Township. Cassidy replied that “big marijuana” already exists. “They are here, and they are called cartels and street gangs,” she said. Both Steans and Cassidy disagreed that legalization will increase marijuana usage among teens. Margaret Polovchak, a former director of MCYAF who now works for Omni Youth Services, disputed that making marijuana legally available would not increase use among adolescents. Teens are already indicating that they are getting their hands on marijuana through the state’s legal medicinal route, she said. 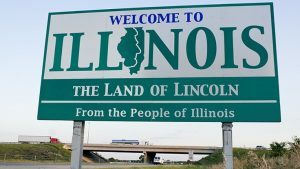 Steans argued that Illinois will have a “stronger regulatory structure in place” than other states do. “But we share the goal that we do not want to make it easier, but actually harder for teens to access cannabis,” she said. Collins also said she was “skeptical” that revenue from marijuana sales will actually be used for prevention and treatment programs. Another audience member also asked what “guarantee” the public has that the tax revenue will not “end up in the general fund pile” of the state’s budget. The next steps will include filing a revised bill that “reflect(s) the feedback received over the past year,” continuing to develop support for the marijuana legalization bill within the state legislature, and conducting legislative committee hearings, Steans and Cassidy said.